What if you could just drop a computer into an Organizational Unit (OU) and this computer then turns into a locked down Thin PC that only shows a simple menu or just starts one specific application or web page? This would be a very powerful feature for shared or public computers that should offer only limited availability to applications. It is actually much simpler than it sounds. With the Home Screen and Group Policies, you have all the building blocks you need. 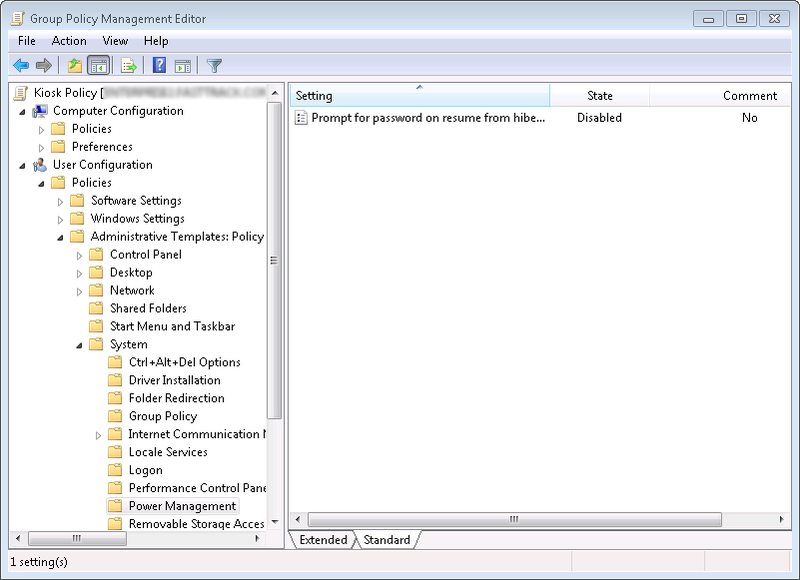 You just need to walk through a simple wizard and set a few group policy settings. There is no replacement of msgina.dll or similar system hacks. And when you take a computer out of the OU, it automatically gets restored to a normal Windows PC. Read on for a blueprint on how to do this. The first step we need is to build an MSI package that will convert a computer into a Kiosk computer (Thin PC) upon installation, which is a simple process. Click the "Thin PC" icon under "More Wizards" in the Home Screen and walk through the wizard. One of the first pages in the wizard is building the menu. 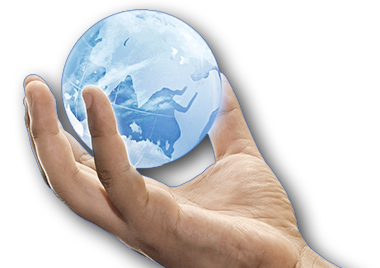 You can basically choose from local programs, Citrix Applications, Remote Desktop sessions, web page views and a private browser session. The menu building page is shown below. In some cases, what the menu builder can do for you is not enough. For example, if you would like to ask for a password before starting a local program, this requires an additional script line. The way this scenario is handled is that when you click next, the wizard shows you the script that it has build for you and will embed into the output MSI installation file, as shown below. You can click the button "Continue in the Script Editor" and make all the modifications you need and then restart the wizard. On the page before the menu page in the wizard, you can select to use a custom script instead of building a menu interactively. You can then simply point to the script that you modified in the Script Editor and use this as the menu script instead. Although not recommended because of the higher complexity, it is possible to skip the Home Screen method entirely and write your own custom menu and installation script. 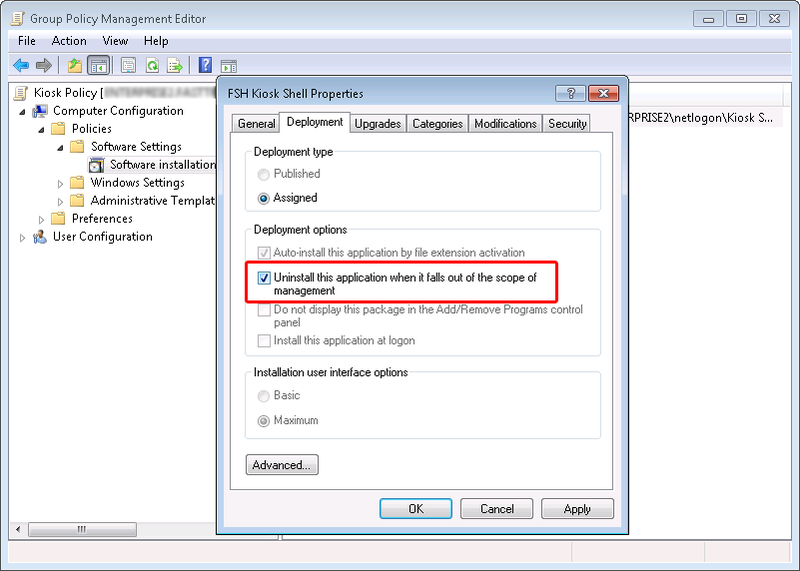 The only advantage of this method is that the menu will be isolated from the installation MSI file, which means that the MSI file will not be required to be updated, when the menu is changed. Refer to this page for more information. Once the wizard is completed, you have an installation MSI file. This file you can just execute on a computer to convert it into a Thin PC and uninstall the MSI file to restore it. However, doing just this, you will miss out on the best part. If you instead create a dedicated Organizational Unit (OU) and assign Group Policies to it, you will be able to convert computers into and away from being a Thin PC by simply dragging computers in and out of it. Here's how you do it. You must now place the installation MSI file in a location which can be reached from clients, for example your netlogon share, and point the package to this file. 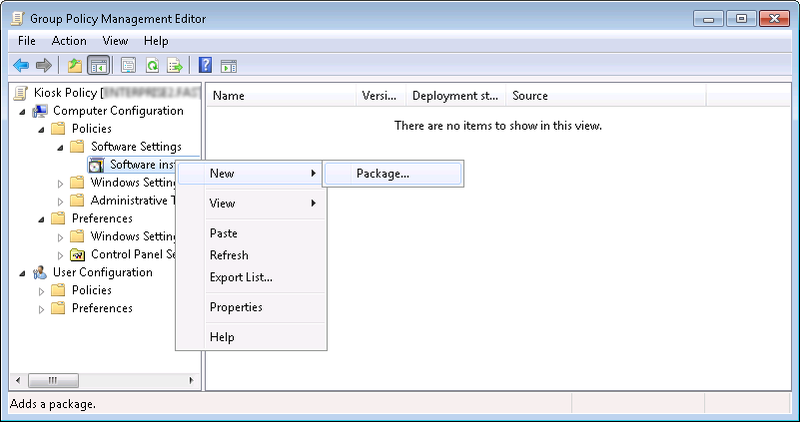 After creating the package, it is extremely important that you open properties on the package, select the "Deployment" tab and check "Uninstall this application when it falls out of the scope of management" (see below). If you don't set this checkmark, the Explorer will not be restored, when you drag a computer out of the OU. That's it! Now everything is set up and you can drag computers into the OU and next time they restart, the computers are Thin PCs like the one in the movie at the top. 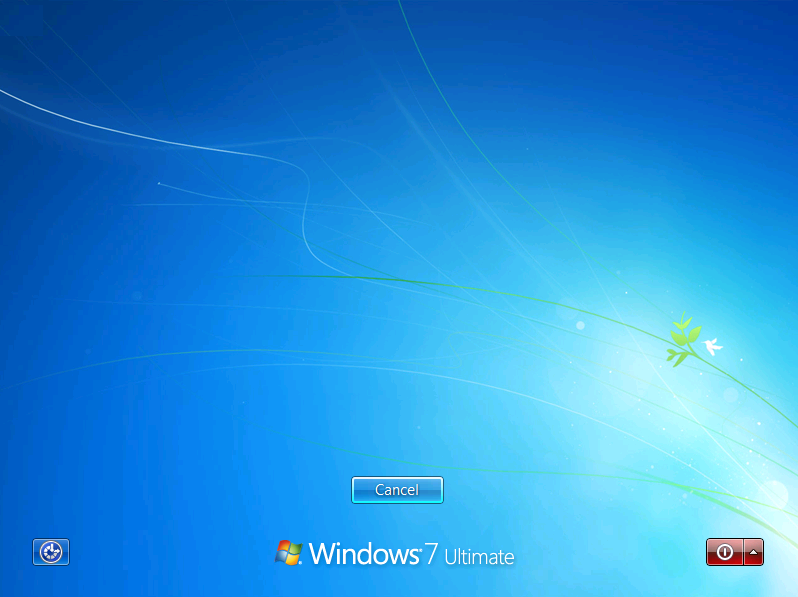 When a computer must be restored to a normal Windows PC, you can just drag it out of the OU, as shown below. 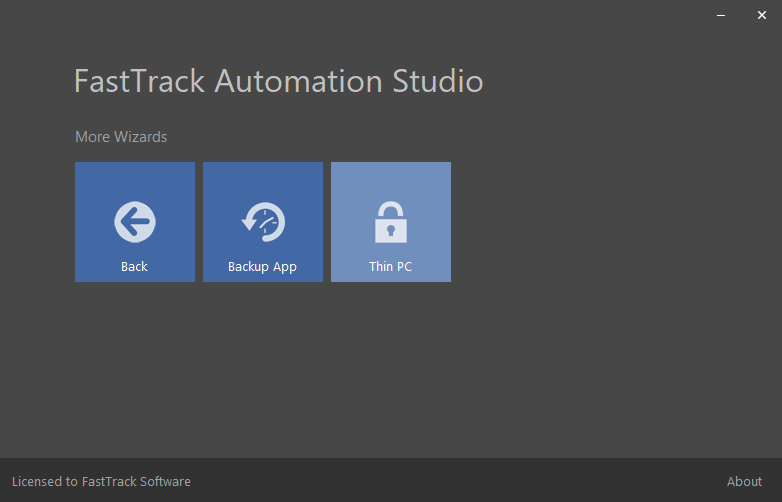 When you build your MSI file with the Home Screen, expected lock downs such as blocking USB/DVD drives and removing ctrl+alt+del options are automatically set, but it is possible to make further locking down using Group Polices. In some cases this is necessary under all circumstances, as existing Group Policies may overrule (open) these lock downs. 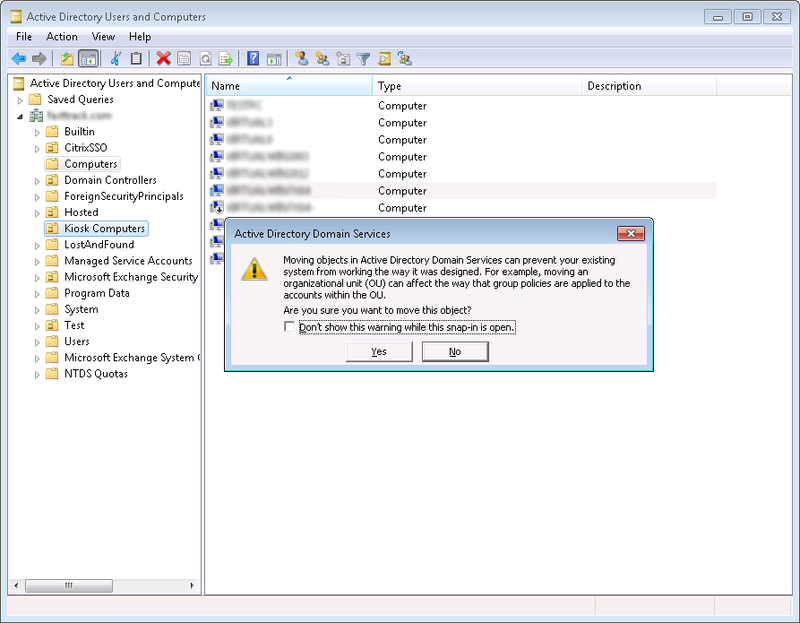 The solution in both cases is creating a dedicated user inside the OU, assign Group Policy settings to it and use this use for the automatic logon. 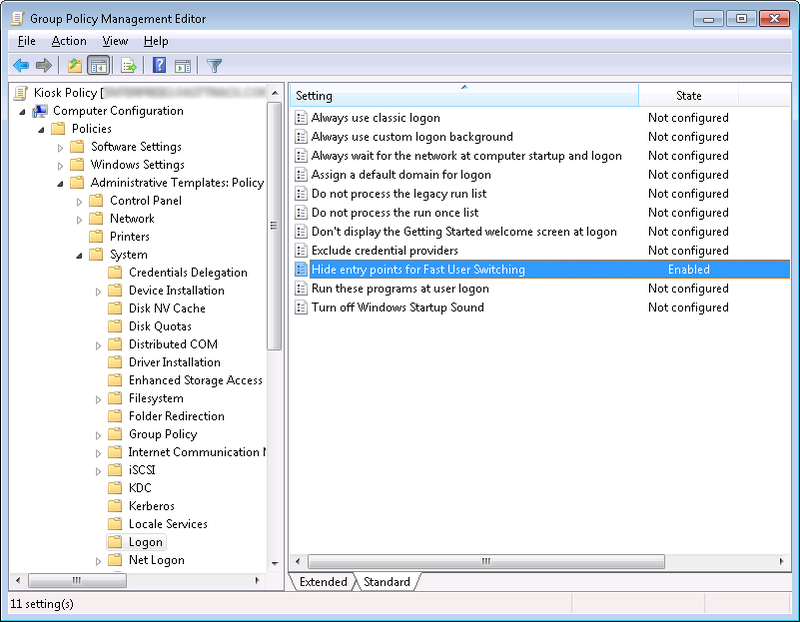 To assign specific lock down user settings, the user needs to exist inside the same OU as the computers. 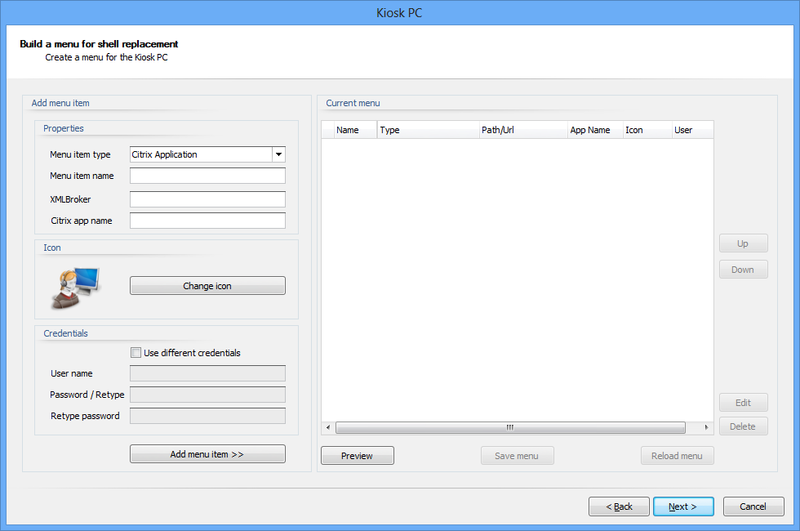 Inside this OU, create a user for example called "KioskUser", which must then be used as credentials in the Home Screen wizard (or custom script). This user must NOT have password expiration, as automatic logon will then stop working eventually. The next thing to do is to remove all options, when ctrl+alt+del is pressed. 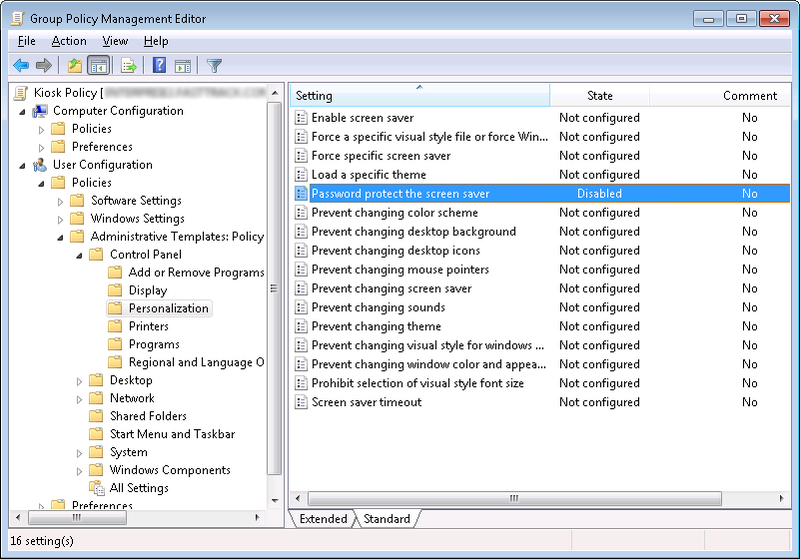 Normally options are available to lock the computer, switch user, log off, change password and start the task manager. 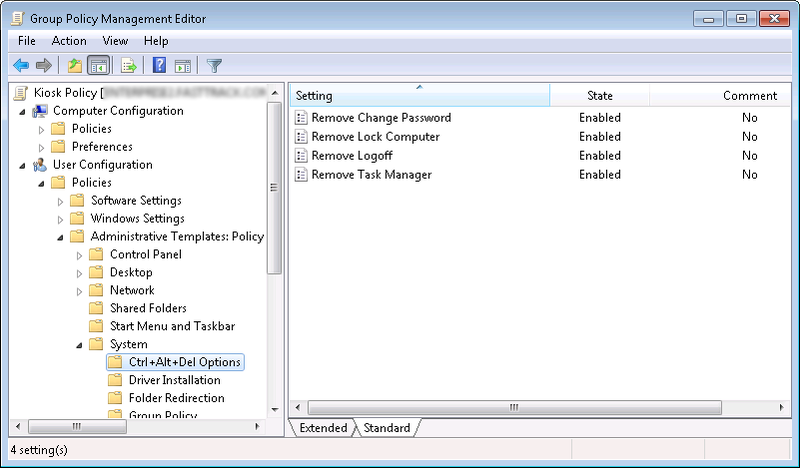 We need to disable all these settings, so when a user hits ctrl+alt+del, no options but shutdown are offered, as shown below. 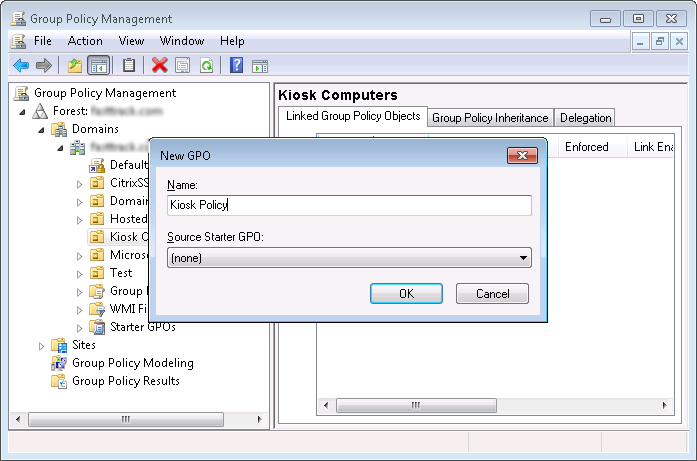 If the "KioskUser" must share a common logon script to map drives and printers, you can use "If UserIsInOU Kiosk Computers Then" condition to differentiate the logon script for this user.